Wow, time flies and the holidays are here and it’s time to decorate and get into the spirit. Have you put up your tree or decorations yet? With home automation you can make it very easy to manage those decorations and help save you money on that end of the month power bill. Also, we will show you how to prevent disasters from tree fires to packages being stolen from your front door. Remembering to turn your holiday lights on and off can be a hassle. Sure, they have manually controlled ones you can set up with it, but you still need to remember to turn it on or off. With our Z-Wave Lamp Modules you can plug your lights and other electronic decorations in and start controlling them directly from your app! You can also set up schedules for them to come on and off. The Z-Wave Lamp Module can also be used to measure your monthly energy consumption, and help you to learn new habits, to keep your monthly costs down. Although beautiful, Christmas Lights strung on your tree can be a fire hazard. However, there are many ways to prevent a fire from occurring. 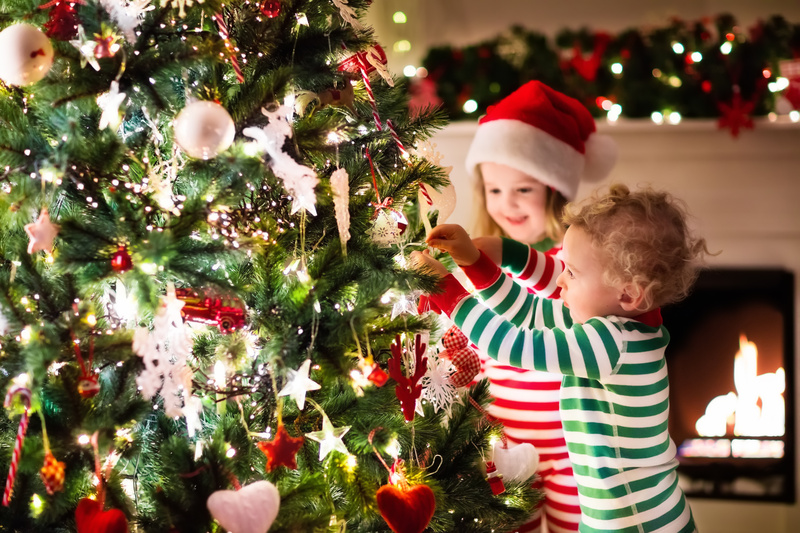 Always make sure your Christmas tree is watered, and use LED lights that do not let off as much heat as traditional string lights. In case of your tree catching on fire, we recommend installing Smart Smoke Detectors, which are monitored via a Central Station. Unlike your traditional smoke detectors these are monitored 24/7 and will call the fire department instantly in case of an emergency. We also recommend changing out your existing thermostat, which controls your AC unit, to a Smart Thermostat. By doing this, in the event of a fire, not only will your Smart Smoke Detector call the fire department but, it will communicate with your thermostat to shut off your central air system, and prevent the further spread of smoke throughout your home. Watch the video below to see the difference a dry tree and a watered tree make in the event of a fire. This is one those seasons, where many people are doing their shopping online. Online retail shopping has made it extremely convenient for consumers to get their shopping done more quickly and delivered straight to their home. When packages are delivered to our home, we can’t always be there 100% of the time. With packages being delivered right to your front door, this allows anyone to simply walk up to your front door and steal your packages. Now how can we prevent this theft from occurring while we’re not home? With a Doorbell Video Camera installed in place of your existing doorbell, you can then track motion without feet from your door. As your delivery driver arrives they will ring your doorbell, which will then send you a text notification along with video clip of person. Now that you know your packages have arrived, if anyone else walks within feet of your doorbell camera, this will trigger motion activity and you will receive a text message along with video clip. You will also be able to speak to person on the other end using two way audio through your smart device.